Queen biopic Bohemian Rhapsody has officially surpassed all competition and become the highest-grossing music biopic of all time. Back in November, the Freddie Mercury-centered story passed 2005’s Walk The Line, the story of Johnny Cash and June Carter, when it grossed $127 million in just three weeks of U.S. box office returns. At that point, Bohemian Rhapsody was still behind 2015’s Straight Outta Compton, which made $161 million during its domestic run. However, since that point, the Queen biopic has drastically broken both U.S. and international records. Earning $175.7 million domestically and $433 million internationally—a total of $608.7 million overall—the film is now the highest-grossing music biopic of all time, everywhere, per Deadline. The journey to the top hasn’t been without its setbacks, as the film has faced harsh criticisms for a few major factual errors, with the most glaring being the misrepresentation of Mercury’s battle with HIV. 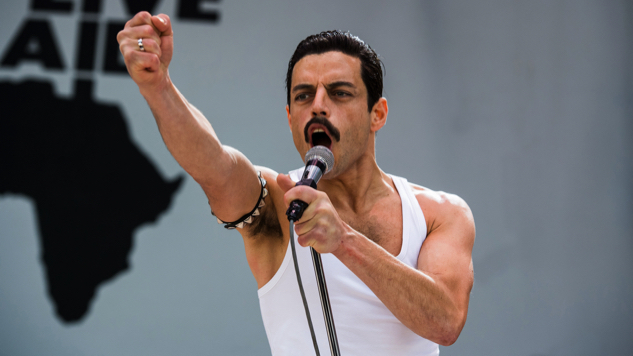 Check out Paste’s review of Bohemian Rhapsody here and revisit the trailer below. For more Queen content, check out a 1977 performance from the Paste archives farther down.